It’s all around us, yet most of us can’t quite put our finger on it. It’s summed up in one word: psychology. As people, we get lost thinking about data and analytics. We think about SEO and strategy. But when’s the last time you thought about mortgage marketing or insurance marketing in purely human terms? 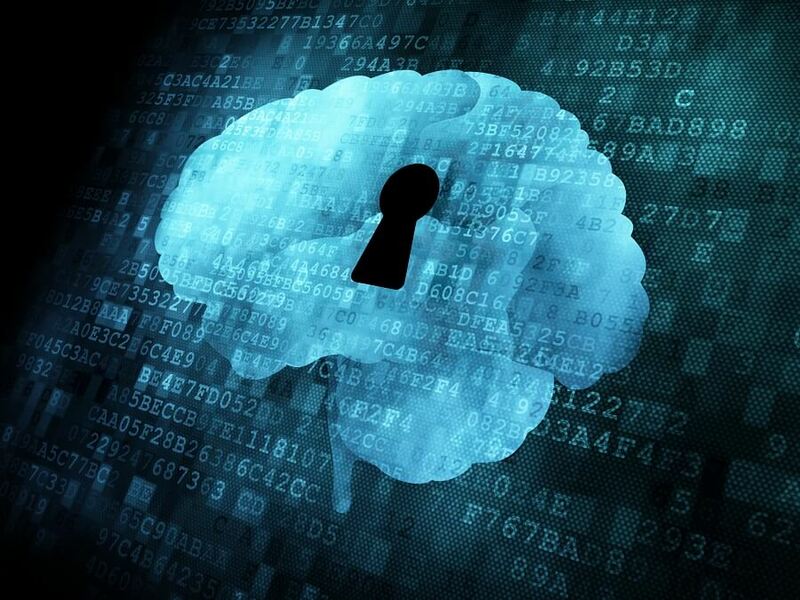 Marketing is largely a matter of understanding psychology: what makes people want to buy one product over another, what makes your business look appealing to the market. And if you want to be the best mortgage or insurance marketer you can be, it helps to understand some psychological principles that will always hold true. Let’s picture someone outside a grocery store, asking for donations. This poses you with a very basic yes/no response. In fact, it gives you all of the power in the world to simply say “no” and move on with your day. That addition—the “every penny helps”—suddenly provides you with a reason to make that donation. Rather than being faced with a simple yes/no decision, you’ve been presented with some evidence that suggests your behavior is expected. You hold less power to say “no,” now. HelpScout documents a study that looked at this exact question and found that the effectiveness of adding a reason to the end of the question doubled the results. That’s right: simply saying “Every penny helps” doubled the amount of yeses. This isn’t marketing science. This isn’t analytics. This is just measuring a very basic, human response to a question posed and worded differently. These days, more people than ever turn online to find social cues as to their buying decisions. It’s why companies like Yelp are so popular. Believe it or not, we really do develop a quasi-relationship with some celebrities…or at least, it feels like we do. And when we see those same celebrities endorsing something, it feels like we’re getting a tip from someone we know. How can you apply this to mortgage marketing? You don’t have to pay a celebrity. You just have to recognize this social aspect that is so prominent in today’s buying decisions. Look to expand your presence on social media. Give people a reason to feel like they know you, too. Let’s say that you’re shopping for an apartment in New York. You see how expensive the properties are, and suddenly your definition of a “steal” is forever warped. Now, go and try to purchase a property somewhere in the Midwest. Or in a low-cost city in the south, like Nashville. Suddenly, you feel like a millionaire. Prices are, and will always be, relative. They’re relative to markets. They’re relative to how much the customer can afford. They’re relative to the amount of value you can propose selling them. If you don’t believe that your prices are all that low, maybe it’s not time just to lower your prices. Maybe it’s time to increase your value proposition. You can do that by talking more about what makes you valuable as a service, sure. But you can also accomplish that simply by making your website a more valuable place to visit. You can also “bundle” services together to frame your prices as a bargain rather than a premium. But remember always that pricing will be relative. You know that old phrase, “your foot in the door”? It refers to simply shutting down a potential lead’s ability to say no—at least for the moment. This isn’t to say that you bully or pressure anyone to do anything. But it does mean that you can delay a potential customer’s knee-jerk reaction to say “not” if you don’t feel they’re quite ready to make the purchasing decision yet, or that don’t have enough information to draw that conclusion. Sign them up to a newsletter. Add a newsletter to your site offering a free guide and people will be more likely to take away something from your site rather than considering your prices and leaving. You can always make a sale at a later date. Have customers fill out a quiz. Potential customers love to take quizzes—they not only offer them valuable insights, but they’re fun. If you use a strong call-to-action and ask for pertinent information along with contact info, you suddenly have a lead rather than an anonymous click. The simple lesson here is to make your web presence stickier than you ever thought possible, simply by getting your foot in the door. Humans are a herd species—there’s no doubt about it. We dine out with friends, we stick together with families, and we meet up in groups. This psychological fact can be used to better make your sales—simply by understanding our instinct to do what other people are doing. In one study, Robert Cialdini (author of “Influence”) and others found that a hotel was better able to get customers to reuse their towels when they suggested that other people were also reusing theirs. Other attempts, like appealing to peoples’ love of the environment, were less effective. How can you use this principle in mortgage or insurance marketing? Social media engagement is a must. If people share your fun links with others, then there’s going to be a greater chance that the herd mentality kicks in. So always remember the principle that it’s more powerful to motivate people as groups than it is as individuals. Never start a newsletter with, “Dear Sir/Madam,” because it won’t get you anywhere. Today’s newsletter technology enables you to use peoples’ names. This hits a very important point in marketing: we all want to feel valued. If a customer is putting their money on the line, they want to know that their money is valued, too. That’s why it’s always great to put a personal touch on something. Respond to customers on social media. Send out the occasional check-up email. Make people feel like they’re really part of something when they sign up with you. Without that, people will feel like just another number. And when they don’t feel they owe you any loyalty, repeat business is sure to suffer. Finally, it’s time to stop viewing the Internet and social outreach as just another fad. It’s here to stay. 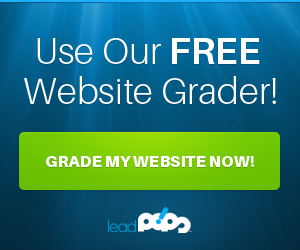 Sign up for a free trial of leadPops to make your web presence more than just an accounting of the fact that you exist. Make your web presence a true lead-generation machine by engaging people on a deep, psychological level. 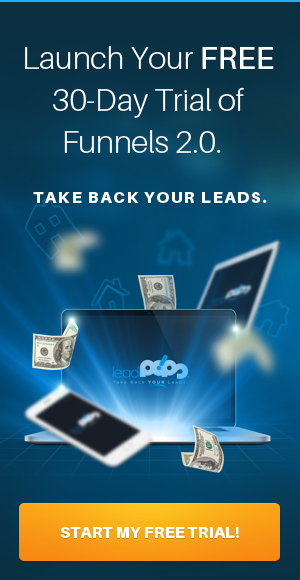 This won’t only win you new leads, but will help you reshape the way you think about marketing. And in a world ruled by psychology, changing your thinking to fit the needs of your customers is a must. Andrew, your a good marketer. I appreciate what you know.